Is Senuke X Version 2.0 a Game Changer? SeNuke X Version 2.0 is going to be released in a few days and based on what Areeb posted on their official blog, SeNuke X is going to get bigger – in a good way. The developers of SeNuke (Areeb Bajwa and Joe Russell) and the SeNuke team are known for frequently updating SeNuke X, but it sounds like this version 2.0 update will definitely take the gold. Considering from the fact that it has only been four months since SeNuke X was released, the list of new and updated features is quite a welcome surprise and in theory, should make SeNuke X version 2.0 even faster and more reliable than before. For a quick overview of the major changes in this release, check out the video at the bottom of the post. Of course, in order to conclude whether or not SeNuke X Version 2.0 is the “best” SeNuke update to date, we will just have to wait and see. It will be released on August 9, 4PM EST. 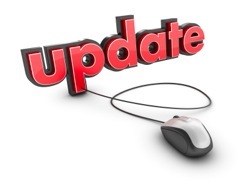 The good news is that all existing members will be able to access the free update – no need to spend a even a dime. Areeb clarified once again that SeNuke will never charge for an update. But the big news is, for those of you who missed it when SeNuke X first launched, the limited “lifetime license” option will be re-opened, but only for two days. The lifetime license will still be a $1997 one-time payment or three installments of $697. As of this writing, Areeb and the SeNuke team have mentioned seven new additions to SeNuke X Version 2.0. You know how much you hated having to use the IE9 web browser for account creation and content submission with SeNuke X? Well, with SeNuke X Version 2.0, you don’t have to do that anymore! Say goodbye to Internet Explorer, say goodbye to SeNuke X crashing and say goodbye to window pop-ups. Say hello to a faster and smoother functioning SeNuke X. The conversion of SeNuke X Version 2.0 modules (Article Directory, Web 2.0, Forum Profile, Video, RSS, etc) are now converted to sockets. Now, 98% of account creation and web 2.0 submission will run on sockets. This is the new feature that I think will have the biggest effect on the overall speed and success rate of SeNuke X. With sockets, the submission process will definitely be faster and more error free than before. Aside from the occasional browser process, this will mean that SeNuke X Version 2.0 will be able to run in the background entirely. Sockets is an odd sounding term, and I have to admit to not having any idea what it meant the first time I read it. Sockets is simply the term used to describe how a software program, such as SeNuke X, can directly “communicate” with a website, bypassing the browser interface completely. It is a much more efficient, and much faster method than using the browser. The biggest advantage however, is that it is much more reliable and error free than using IE9. In fact, so many of the problems SeNuke X was experiencing were related to IE9 and IE8, that the SeNuke team finally gave up on the browser interface altogether, which led to SeNuke X version 2.0. This conversion to sockets will allow SeNuke X to run for much longer without any errors. It will also allow it to run much, much faster, since it will not have to load all the extra page elements that the browser does. Another advantage of the new SeNuke X version 2.0 is that it will no longer be subject to virus attacks, since they need a browser interface in order to infect your computer! The downside to sockets is that it apparently requires much more work to program Senuke X to be able to use it for each website it submits to. In this respect the browser interface was much easier to use, as it was relatively simple to program Senuke to be able to submit to a new website using the browser. However it seems Areeb and the Senuke team have solved this issue, since SeNuke X version 2.0 has not only converted to sockets, but also added many more websites. The conversion of Senuke X to sockets is what is known as a win, win, and win. A lot of SeNuke X users have been requesting that the developers add a Captcha solving functionality for a very long time now. And SeNuke X Version 2.0 finally aims to provide that with its own Optical Character Recognition technology. The SeNuke X Version 2.0 OCR is supposedly going to bypass 40% of all Captcha images (including re-captcha) and with 75% accuracy at that – sounds really promising. This is only version 1.0 of the brand new OCR technology, so you can be certain that it is going to improve from here. SeNuke X users are known to be really active in the forums and now, with the SeNuke X Version 2.0, social nukers will have two more forums to participate on. The “Strategy” forum will be where members can share and ask for help on their online strategies. There will also be a brand new “Marketplace” forum board, where anyone can post any special offers or products as long as it’s not an affiliate link. A unique feature of the SeNuke X was the step-by-step wizard which really helped the new users get the most of this software. But if you’ve already mastered the basics, SeNuke X Version 2.0 comes with advanced training webinars and transcripts. The advanced training webinar was hosted by Areeb himself and Greg Jacobs. His webinar with Greg Jacobs is (hopefully) the second of a series of advanced training webinars. The first one was with Mark Dulisse. Transcripts of these webinars and other training videos can be found in the video training library. Another promise of the SeNuke X Version 2.0 is a faster processing time of support tickets and the questions in the forums. I guess they have a new process, or perhaps they have hired more support staff – as to whether the SeNuke X customer support team will live up to this promise, we just have to wait and see. Now, this one isn’t really a new feature, there are plenty of success stories in the forums already, but Areeb said that they have added over 100 more success stories. So if you want to get a little inspiration, or perhaps get some tips from successful nukers, you should totally enjoy the additional success stories. The SeNuke X Version 2.0 certainly sounds like it’s going to be great. But since it hasn’t been released yet, we have to wait and see if it’s as good in practice as it sounds on paper. August 9 is the date to remember for all SeNuke X users! I will be voicing my opinions regarding Senuke X version 2.0 as soon as I have a chance to get my hands dirty, in fact I may have to rewrite my SeNuke X review to reflect all the new features!